I work with a wide variety of law firms in a wide variety of industries in all types of cities of different sizes. When a potential client contacts me, one of the first things they usually ask is about pricing. 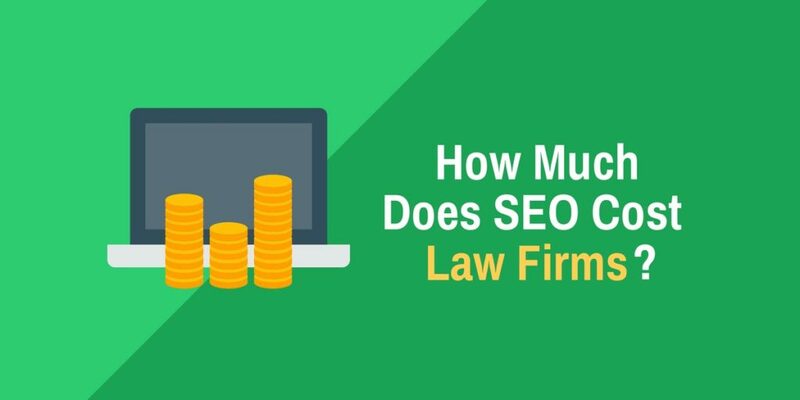 On average, SEO for law firms is generally around $5,000 per month, however, some clients in smaller cities pay as little as $1,500 per month and in competitive cities such as Los Angeles some law firms may spend $15,000. This price often includes some content development, but does not include other online marketing such as AdWords or other Pay Per Click (PPC) campaigns. SEO for law firms in general usually encompasses on site optimization, Google My Business maintenance, SEO consulting, and most importantly, link acquisition. On site optimization. There are always things which come up. Moving pages, site redesigns, implementation of rich snippet schema markup, monitoring click through rates and page performance. Link acquisition may include link building from high quality, topically relevant websites. This should be your SEO firm’s top priority, especially if you’re in a highly competitive niche such as personal injury law. Content development may include building out main content, such as “areas of practice” style pages or covering recent auto accidents. SEO works. People use the Internet, and people select attorneys who rank well in search results. Determining a budget may be difficult though. The most awful SEO agencies in the world use the same line as us good guys: “SEO takes time”. It’s true. Unfortunately, the bad guys hide behind this while they do nothing. A quality, transparent SEO agency will let you know what they’re up to. While there are more factors, a good rule of thumb is the population of your city. SEO campaigns in cities of about 250,000 people are generally very cost effective if you have a budget of $4,000/mo and have competition who just began SEO in 2015 or 2016. These cities frequently have law firms with maybe 30 or 40 reviews and catching up to them / surpassing them is an attainable goal. In general, the larger a city is, the tougher the competition is. In cities like Los Angeles, people are fiercely fighting for front page rankings. As of November 2018, a Google search for the term Los Angeles Car Accident Lawyers returns 19.7 million results. Add quotes to it, and you’re still looking at 23,000+ pages. Now, if I search for “Asheville car accident lawyer” (with quotes) we’re looking at closer to 500 results. That’s 1/46th of the competition. Determining your SEO budget depends on your competition, what they’re doing, and what you’re comfortable spending on a long term basis. If you’re a criminal defense attorney or a personal injury lawyer or your firm practices another type of law, please feel free to comment below and let other attorneys know what you’re spending on SEO. Greater LA area. We’re doing PPC. Aggressive campaign during business hours is running about $200,000/mo. SEO in our area is much better than PPC but requires a lot of creative linkbuilding. Yes, I work with one of the top 20 LA PIs. We do content and SEO exclusively. I feel bad for anyone who has to come in and try to rank. We run scholarships, we’ve been linked to by CNN, we’ve been linked to by KTLA, we’ve got other attorneys linking to us, we have offsite blogs.. It’s just crazy there in Los Angeles..
Small town in the northwest here Len. We’re at around $1,500 every month..